This isn't just a replacement CNC hop up for A&K PKM and LCT M60. Made out of full metal so it will last longer and give you the edge in accuracy. It is possible for you to use standard hop up rubbers with this so it isn't proprietary. 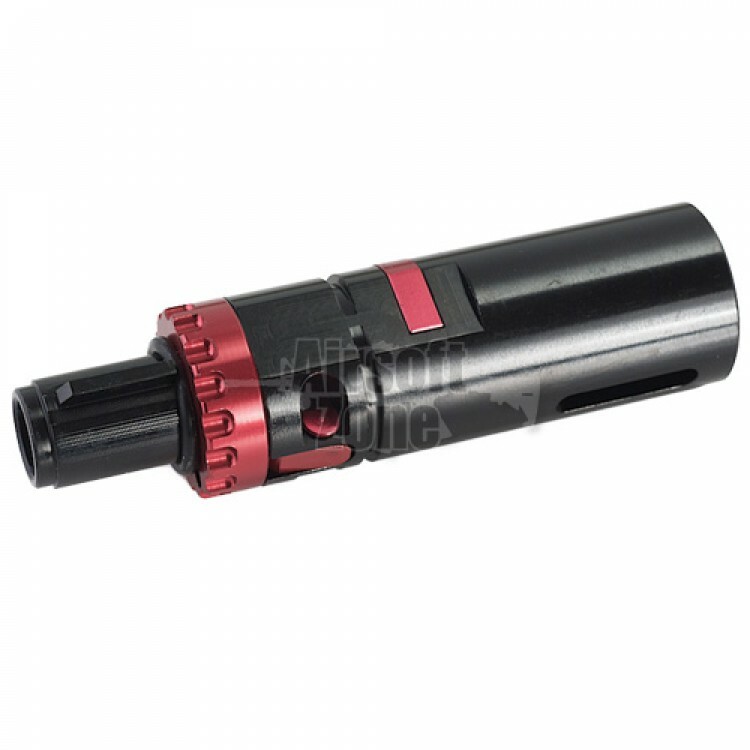 Once the barrel is connected to the chamber itself, there is absolutely no wobble at all which increases it's reliability. Modern hop up chambers use a spinning dial to adjust the hop which is far more reliable than previous versions and will account for more precise adjustments.